Pool covers help conserve heat, which can save money on heating costs. Besides conserving water, keeping a lower water level in the pool helps reduce water loss from extreme splashing and boisterous water play. It's a good idea to keep the water level 1 inch above the bottom of the pool tile. Try to discourage swimmers from splashing by explaining to them that the water needs to stay in the pool. If you have a pool heater, try reducing the temperature during the summer. Doing so reduces the occurrence of water loss to evaporation, and is especially important when the pool isn't being used. Better yet, use a pool cover. Empty the filter backwash onto lawns and shrubs or collect it to reuse. Make sure your landscaping has absorbed the backwash before it leaves your property. Don't allow runoff to enter adjacent properties unless you have some sort of agreement with your neighbor. Check with your city government—in some regions it is illegal to empty pool backwash water into the street or storm drains. 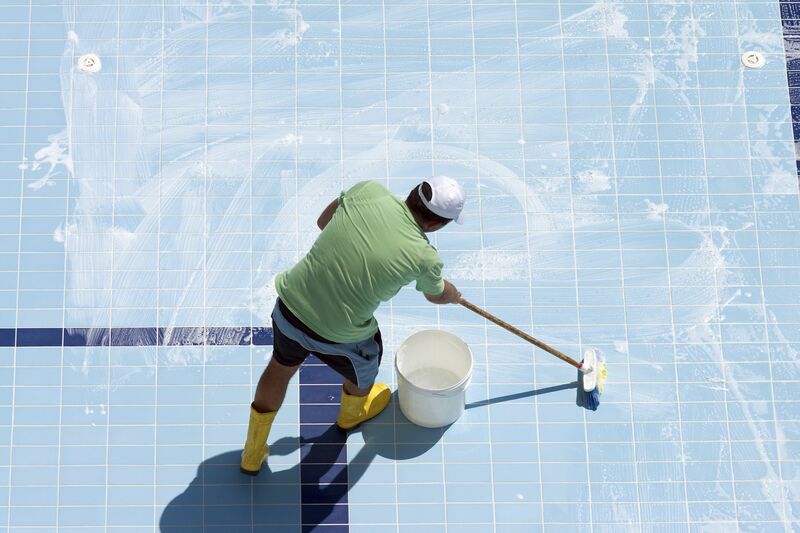 Some pool owners like to start off new each season with a thoroughly scrubbed-out pool and fresh water. If a pool has been properly maintained, it may not have to be drained completely or as frequently as you might assume. Many experts believe a pool should only be drained every 3 to 7 years. Spas, however, should be drained every three months, depending on how often it's used. When aeration occurs, a significant amount of water can be lost to evaporation. Sure, they look pretty and you love to hear the sound of running water. Strike a compromise. Only run pool fountains and waterfalls when you're entertaining. Use a timer that's rated for the size of your pool pump. You can also save on operating costs by matching the size of the pump to the needs of your pool. When replacing the pump or the pump motor, get only the horsepower you need and look for a two-speed or variable-speed pump motor.